This article by Mahmoud Salem about the current situation in Egypt is a MUST READ. Could not have put it better myself. “In many articles, social media statuses and private conversations, many people are bemoaning what they deem “the rise of fascism” in Egypt against the Muslim Brotherhood. They openly wonder how people could lose their humanity to such a degree that they are indifferent to the deaths of Muslim Brotherhood supporters in clashes. They are very shocked and disturbed by the amount of people who are openly calling for the military to crush them. They are so surprised and distressed by this, one has to wonder if they were living in the country this past year, because if you have, none of this should be the least bit surprising. “Thus, it is of no surprise that when the table turned, that same citizen is openly calling for the elimination of those whom he views threatened him with death. The lack of sympathy for their dead is very human, especially in the face of the final speech of Morsi, where he said that “it’s either my legitimacy or blood””. The ministry of interior said that the armed forces only used tear gas and denied using live ammunition. They also claimed that the pro-Morsi protestors acted provocatively and initiated the violence to demonize the army and shake its popularity to gain sympathy. The protests were no longer peaceful. The protestors intercepted traffic and blocked a vital road. They set tires on fire. They committed acts of vandalism such as destroying the sidewalk and using it’s stones to build a defensive wall. They clashed with residence of a nearby districts and used live ammunition against them, killing many. There were concerns that as they headed to the 6 October bridge, the bridge would not sustain the pressure and would collapse. Against police warnings and despite the use of teargas against them, the protestors continued to advance. Dozens of officers were also shot and many suffer from fatal conditions. There is NO evidence that the security forces shot at the protestors. The interior ministry claimed that the protestors were killed in violent clashes between them and the residents of the nearby district. This is not to say that I am unsympathetic to the dozens killed in the clashes (there are disputes over exact figures). This is not true at all. I am grief-stricken at the escalation of violence in Egypt. I am only shedding light onto the blatant western media bias that I have noticed. And this is not to say that a bias does not exist in Arabic and Egyptian state news channels. Because there is. On a final note, I want to say this. There is a saying in Egypt that I hold close to my heart: “Kol el dam haram”. This roughly translates as “All bloodshed is a sin/immoral”. We are all children of Egypt, and I send my deepest condolences to the families of those killed. This is an excellent article that describes how the goal of the 2011 revolution was to bring down a corrupt and tyrannical government and replace it with a competent, democratic and inclusive one. By bringing down Morsi, the Egyptian people have proven that they will safeguard this goal from anyone or any group that tries to steer the country down a different path. We will not accept corruption. We will not accept tyranny. We will not accept incompetence. We will not accept a one party state. We will not accept military rule. The fear barrier has been broken. Our greatest challenge now is eliminating the self-interested, power seeking, terrorist groups in our society and reuniting our country under one vision. If you’re looking for any silver lining in what is happening in Egypt today, I suggest you go up 30,000 feet and look down. From that distance, the events in Egypt over the past 2½ years almost make sense. Egypt has actually had three revolutions since early 2011, and when you add them all up, you can discern a message about what a majority of Egyptians are seeking. The first revolution was the Egyptian people and the Egyptian military toppling President Hosni Mubarak and installing the former defense minister, the aging Field Marshal Mohamed Hussein Tantawi, as the de facto head of state. Tantawi and his colleagues proved utterly incompetent in running the nation and were replaced, via a revolutionary election, by the Muslim Brotherhood’s party, led by President Mohamed Morsi. He quickly tried to consolidate power by decapitating the military and installing Brotherhood sympathizers in important positions. But his autocratic, noninclusive style and failed economic leadership frightened the Egyptian center, which teamed up last month with a new generation of military officers for a third revolution to oust Morsi and the Brotherhood. To put it all in simpler terms: Egypt’s first revolution was to get rid of the dead hand, the second revolution was to get rid of the deadheads and the third revolution was to escape from the dead end. The first revolution happened because a large number of mostly non-Islamist Egyptian youths grew fed up with the suffocating dead hand of the Mubarak era — a hand so dead that way too many young Egyptians felt they were living in a rigged system, where they had no chance of realizing their full potential, under a leader with no vision. After some 30 years of Mubarak’s rule and some $30 billion in American aid, roughly one-third of Egyptians still could not read or write. The generals who replaced Mubarak, though, were deadheads not up to governing — so dead that many liberal Egyptians were ready to vote for the Muslim Brotherhood’s Morsi over a former Mubarak-era general in the June 2012 election. 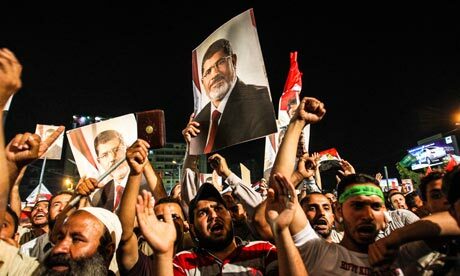 But Morsi proved more interested in consolidating the Brotherhood’s grip on government rather than governing himself, and he drove Egypt into a dead end — so dead that Egyptians took to the streets on June 30 and virtually begged the military to oust Morsi. Add it all up, and there is a message from the Egyptian majority: No more dead hands; we want a government that aspires to make Egypt the vanguard of the Arab world again. No more deadheads; we want a government that is run by competent people who can restore order and jobs. And no more dead ends; we want a government that will be inclusive and respect the fact that two-thirds of Egyptians are not Islamists and, though many are pious Muslims, they don’t want to live in anything close to a theocracy. 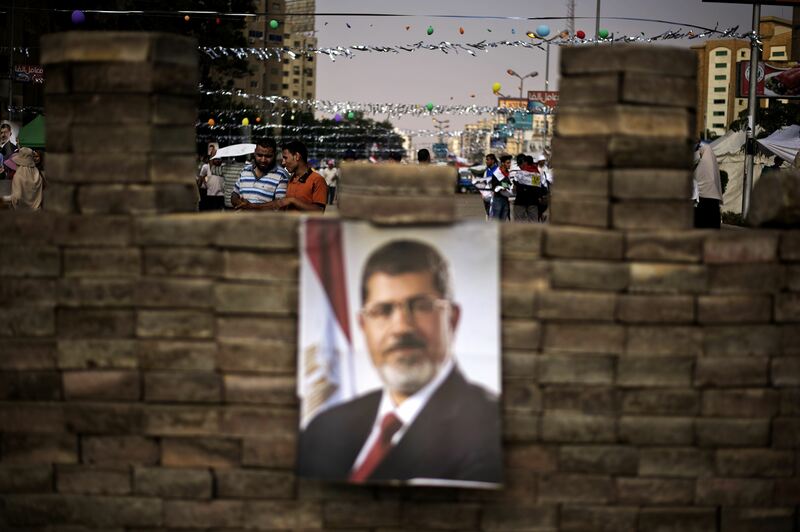 It is hard to exaggerate how much the economy and law and order had deteriorated under Morsi. So many Egyptians were feeling insecure that there was a run on police dogs! So many tour guides were out of work that tourists were warned to avoid the Pyramids because desperate camel drivers and postcard-sellers would swarm them. Yes, it would have been much better had Morsi been voted out of office. But what is done is done. We need to make the best of it. The right thing for President Obama to be doing now is not only to ignore the critics who say the last revolution amounted to a military coup, and so we should cut off economic aid to Egypt. Instead, we should be trying to get everyone in the world to help this new Egyptian government succeed. Not surprisingly, people are worried that Egypt’s military could stay in power indefinitely. It’s a danger, but I am less worried about that. The Egyptian people have been empowered. 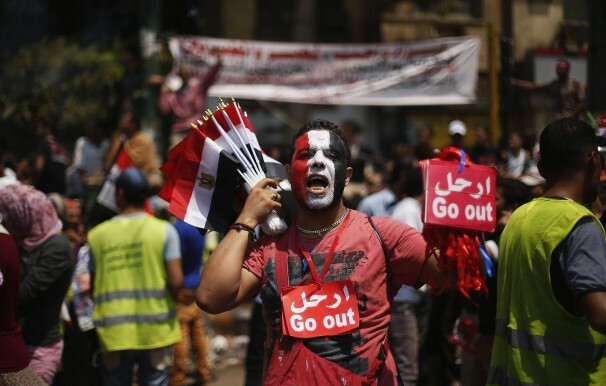 A majority of Egyptians have — three times now since 2011 — called a halt to their government’s going down the wrong path. I am worried about something else: Egyptians defining the right path and getting a majority to follow that path. That is an entirely different kind of challenge, and I am not sure Egypt can ever get to that level of consensus. But this government offers the best hope for that. It has good people in important positions, like finance and foreign affairs. It is rightly focused on a fair constitution and sustainable economic reform. Its job will be much easier if the Muslim Brotherhood can be re-integrated into politics, and its war with the military halted. But the Brotherhood also needs to accept that it messed up — badly — and that it needs to re-earn the trust of the people. This is no time for America to be punishing Egyptians or demanding quick elections. Our job is to help the new government maximize the number of good economic decisions it makes, while steadily pressuring it to become more inclusive and making it possible for multiple political parties to form. 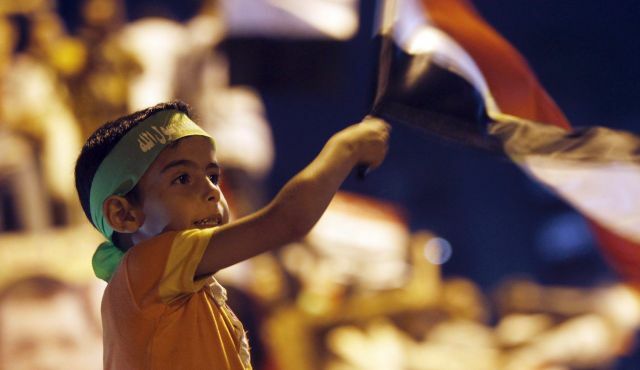 If that happens, Egypt will have a proper foundation to hold democratic elections again. If it doesn’t happen, no number of elections will save it. Before I start, I would like everyone to stand up for a moment of silence in observance of all victims who fell and every drop of blood that was recently spilled. In the name of the Armed Forces and of every Egyptian, allow me to extend my deepest condolences to the families of the victims, for every loss of a mother or a father, for every casualty, for every drop of Egyptian blood. May Allah stop all this bloodshed. 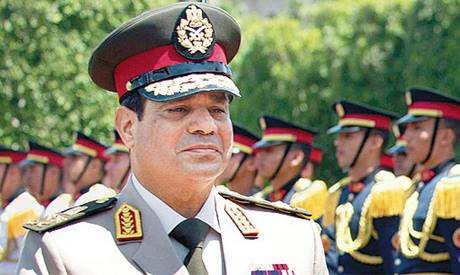 Today, I will deliver a serious message not only for the cadets and the Armed Forces, but also for all Egyptians. When I say the Egyptian Army is honorable, nationalist, and consistent, I mean every letter and word. Let me speak very openly, ever since we handed over power to a democratically elected civilian rule on 30 June 2012, we have been honest, honorable and unbiased. We have not conspired or betrayed; moreover, we have offered true counsel and advice. I will tell you details which prove that this army is great, and its personnel are honest and loyal. We don’t lie, deceive or spread rumors. We cannot do this to our people. The Egyptian people are not an enemy. Are not we one people. On three different occasions, we provided the former president with three strategic assessments of the situation and relevant developments and recommendations on how to overcome the current crises. This is documented. We did this for the sake of our people. As part of my job, I have talked with various political and religious stakeholders. I have always stressed the idea of the “State” and “Nation”, and that the president had to be a president for all Egyptians. We have provided all stakeholders with sincere advice. Once, Sheikh EL-Howeini asked me in the presence of several Salafist icons whether they should present a candidate for presidency. He trusted me, so I responded “No”, not yet; you need more effort, knowledge and qualification especially because the next period will be critical. He thanked me and left. I recall this situation to stress that we have provided all sides with sincere advice. We provided precise analyses, recommendations, and solutions. By March, I had stopped giving advice in this respect. We were worried that religious currents would consider Egyptian opposition as refusal of religion and as a result Egypt would face confrontations between people who believe they fight for religion and those who simply want the country to be ruled in a different way. We warned against these confrontations five months ago and foresaw that these confrontations would break out in the upcoming period if we did not take precautions. I would like for all of you to refer to every word I have said over the past year since I took office. In November, only four or five months after the former president took office, the gap became wider. This gap had to be bridged ;otherwise, it would lead to more separation. I presented the situation to the President before launching the initiative. Listen carefully! He praised it. I told him to invite all political parties to the Air Defense House, and assured him that I would not be a part of that matter; and that the only reason for this meeting was to create the opportunity for all the parties to meet together, and to start the political process, that could last, and contain the disputes. Next day at noon, after sending the invitations, while I was talking to the former President to see about the arrangements for the meeting, he told me to call this meeting off. I agreed. Because I didn’t want to embarrass the Presidency, I stated the reason behind cancelling this meeting was that some political parties refused to participate. Later, in the Military Academy, I mentioned that the national security was at potential peril in case such disputes between the State and the political powers would continue. And, it was crucial that these issues be addressed, because they would lead to grave consequences over the national security of Egypt. At this moment, my words drew the attention of some people who were speculating about the reason behind the General’s saying, and the risks he saw and cautioned about. The presidential practices went unchanged. I’d like to tell you, especially the cadets who stand before me, “Do not ever think that I misled the former President when I told him that the Egyptian army is an army for all Egyptians, and that the Egyptian army doesn’t take sides, and that it would only act under his command by the power of legitimacy conferred on him by the people, and it would never be under any other command. I’m serious. I haven’t ever misled him by assuring him that I was on his side and at his service, because our uncompromising stance originates from well-respected patriotic and religious values. We are keen and honest regarding national matters as we would be held accountable before God on Judgment Day. I always say this because we will be judged one day and there is no one capable of deceiving God, because God can see deep through us. I’d like to stress that all the statements I’ve issued, I swear to God, I showed to the president and told him that such statement would be published shortly, before it was published. I am not saying that for only the Egyptians to take pride in their Army, but also for the sake of our officers, non-commissioned officers and conscripts. Stand tall son. Be very proud, for that we are people who fear God. Six months ago, I told the former president to take care; the project he was up to could not be implemented. I asked him terminate this project. In only 7 months, you surpassed your opponents, who have been trying to damage your reputation for thirty years, in tarnishing your own image. The size of the refusal and rejection towards the ideology you are introducing is greater than you could ever imagine. This is what I have told the President during very friendly and casual meetings, neither in quarrels nor on live broadcasts. However, I was trying to convey the reality in the Egyptian street and public opinion in order to shake him up and make him act before it was too late. We did not deceive the President when we said in a statement, heard by all the people, that we had 7 days as an ultimatum before the 30th of June in order to find a way out of the crisis. 7 days. We told him that, and we told the Egyptians too. In addition, in several meetings, we proposed solutions to find a way out of the crisis. Indeed, the 48-hour ultimatum was not a surprise. We did not take such action and move tanks into streets while everything was normal. We aired a statement via the media. We read the statement to the President before we aired it via the media. We told him that we still had 48 hours to find a way out of the crisis. I have told him that political pride stipulates that when the majority of the people revolt against the President, he should leave office, or would try to renew the confidence through a referendum in order to prevent sedition. In this referendum all Egyptians vote Yes or No. All these solutions were introduced by me and by delegates. I have sent 3 delegates, not 2, to him: the Prime Minister, the former President of Shura Council and Dr. Seleem Al Awaa telling the former president that a way out of the crisis was possible and that he would take the initiative by announcing a referendum over his being in office. This was on the 3rd of July. Clearly, his answer was “No”. So, what would have happened after that? What would have happened if these millions who had taken to the streets felt desperate and frustrated and dealt with this issue with violence? Then, the Islamists would start to fight back. Thus, Egyptians would have fought each other. This is what we have warned against at the Military Academy where we said that the Egyptian national security was at stake and we could slip into a dark tunnel. We said that more than 7 months ago. Today, I am saying that to all the Egyptians because today and during the past 2 weeks, I have heard many rumors. We are currently taking many actions. The Armed Forces and the police are still keen about all the Egyptians. However, because I am accountable before the Egyptians and the Armed Forces, and to hold myself unaccountable before Allah, I said, and I am saying, and repeating that “This Armed Forces is at your disposal”- “This Armed Forces is at your disposal”. I have repeatedly mentioned that this Army is driven only by the will of the Egyptians. Do you believe the quote “The best soldiers on earth” by Prophet Muhammad (PBUH) is meaningless?! The relationship between the Egyptians and their army is so special. They cannot be separated. When I learn that civilians get military uniform and many countries are smuggling weapons into Egypt, and roamers, that part of the Egyptian army has defected, spread, the conspiracy becomes clear. So, the conspiracy here is that in the coming period, rumors that the Egyptian army is split and is fighting each other will spread. Be careful. I swear to Allah, “The Egyptian army is as united as one”. This is for granted. The Egyptian army is one of a kind, and such division can never happen. Massing people, telling them that it is jihad for Allah, manipulating facts, and disregarding the reality is misleading. I am calling on all sides for a halt to reconsider. I am calling for you to ponder on that: Is it right to say “We either rule or destroy the nation”. Does this make any sense? Does your ideology call for that? Are you willing to destroy your army if it does not take your side? This can never happen. It is an extremely dangerous matter. I want to mention something, for you Egyptians, the army, the police, and the political powers to watch out, and for Al-Azhar and the church to shoulder their responsibility. Why? Because we will not wait until it is too late. I can see that someone is trying to drive this country to a dangerous cliff. When the Egyptians poured down the streets in millions, the army yielded to their will. Please, no one should ever have a second thought that the roadmap we proposed and procedures we took may be compromised. We said to all who came to us that we were ready for elections that would be supervised by anyone: the United Nations, the European Union, and the Francophone member states. We aspire for elections approved worldwide. We say so because if you can secure majority and have the approval of the public opinion, this will be reflected in the upcoming elections. The upcoming elections will be decisive and if you deserve this position, the majority will be with you, and you will be able to form the government, choose the president and rule the country. If the Egyptians accepted so, it’s OK. We don’t have a choice without the consent of the Egyptians. Don’t think of using violence and terrorism. Let me stop at these two terms and tell you something which really happened before the speech that was delivered at the Cairo International Conference Center, I told two of their leaders that the situation was really dangerous and there had to be a genuine reconciliation with all state institutions. I thought that the concept of the state might not have been clear enough for them. This means reconciliation with the Church, with Al-Azhar, with the Judiciary, with the Police, with the media and even with the Egyptian public opinion. We reached an agreement concerning reconciliation. Next day, I stayed with the former President for two hours from 11:00 to 1:00 trying to tell him the main points of the speech that might help achieve these goals, and he assured me that he would address these points in his speech. I went to the Cairo International Conference Center and I was surprised that what he said wasn’t the speech we had agreed together on. I’m telling you, I’m not a guardian of the former president. No, but we were nothing but sincere, honest and faithful men who feared God. And he who fears God can never be defeated, can never be defeated. It was a totally different speech which alienated everybody. You all have heard it. What I want to tell you is that during the two-hour meeting with two of their leaders, one hour was taken up in telling me that if a big problem had occurred, there would have been a lot of violence because they had armed groups and so on. And they thought that I would be terrified. No! This can never happen. A country can never be ruled that way. Egypt can never be ruled that way. And I told them that it would be a disaster if you thought that way. I had been telling them that for 5 months, you can never deal with the Egyptian people or with any other nation using violence. I told you before in my last speech, we were at a crossroad. I’m talking to all the Egyptians, when I told the former president that millions of the Egyptians were in the streets he said “No”, “No, they were only hundreds or may be thousands and when I showed him the aerial photos taken by the Air force, I told him that they were a lot and we could not ignore the will of the people in such way. I would like to remind you of the former SCAF’ wish during their period, to enable the Egyptians to make their free choices and that meant that they decided to hold clean and fair elections to allow the Egyptians, who massed on the 28th of January and regained their will, to keep their will, and I will never go against the people’s will. It is true that Legitimacy comes from the people through the voting as a means and a mechanism. It would be easier if there were mechanisms to solve the situation other than people’s protests in millions. People grant legitimacy via voting, but they can reconsider it and even withdraw it. Whenever people do that, we have to respect it. I want to assure you that we have come to a crossroads. I would like to tell the Egyptians that we have met their expectations and responded to their orders. Frankly, I request that all honest Egyptians mass in the streets this Friday. Why should people mass in the streets? To give me a mandate and an order to confront potential violence and terrorism, and to show the world their will as they have done before. I haven’t requested anything from you. Also, I don’t have the right to do so, but I’d like you to reaffirm to the world, as you did on June 30th ,and July 3rd , that you have your own free will and decision, and to show them that the will and decision are made here. That means in such cases of terrorism or violence, the army and the police are mandated to confront them. Please undertake this responsibility with me, your army, and the police. Show the world the stoutness of the real Egyptians while facing current events. I don’t mean that you should use violence or terrorism, on the contrary, there is a call for national reconciliation, transitional justice and today there will be a meeting in the presidency with all political and religious currents to reach a real understanding among each other. We know how to understand each other, but we need to learn how to argue with each other and how to react when facing a disagreement. Friday will be the day when we meet with all Egyptians. The police and the Army will secure the demonstrations, not only in Cairo and Alexandria, but also in all the governorates all over the country. Finally, I would like to deliver a message for all fellow officers, non-commissioned officers, and conscripts: You are the best soldiers on earth. You are honorable. You have tolerated a lot for the sake of our people and nation. Rest assured that Egypt will remain consistent. I thank all Armed Forces and police officers and personnel for the role they have played recently. We have always stressed that the people, the Army, and the police are one hand. I said this at AL-Gala’a Club in the presence of the former Interior Minister and the police officers. We do not have enmity or sensitivity with anyone. All Egyptians are our brothers and sisters, and they should treat us the same way. Thank you and God bless Egypt.